Charito is the Dean of Student Services at Lake Washington Girls Middle School, a small independent all-girls school in Seattle’s Central District. Their mission is to empower girls to be strong in Mind, Body, and Voice – and they live that mission in everything they do. 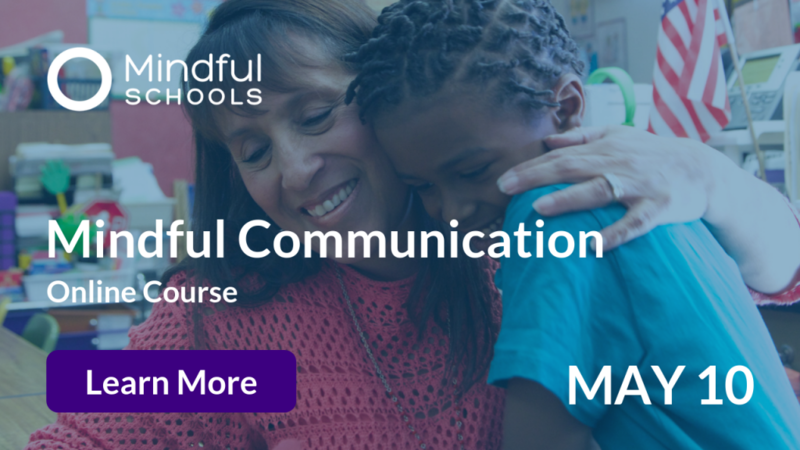 She teaches an innovative course called “Fuel for Thought,” designed to support students in developing stronger executive skills, interpersonal skills, and self-regulation. 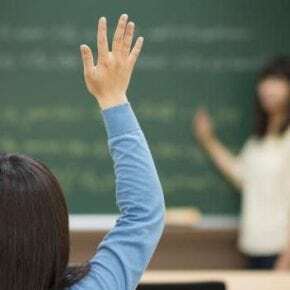 I’ve worked with adolescents for 30 years, and the incidence of anxiety and depression in my students has risen alarmingly in the past ten years. 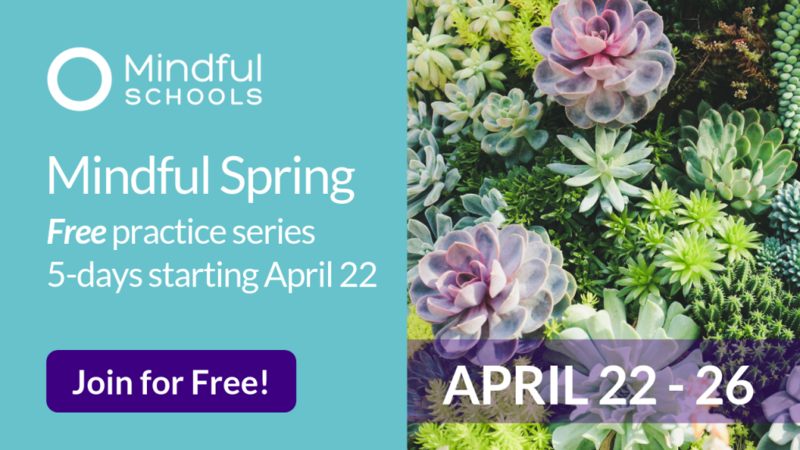 What inspired you to start practicing mindfulness? I’ve worked with adolescents for 30 years, and the incidence of anxiety and depression in my students has risen alarmingly in the past ten years. I was inspired to do more to support and empower the teens I work with. Since I never ask students to do something that I wouldn’t do myself, I knew I had to practice mindfulness. I’ve always been surrounded by people who practiced meditation, but I never found a practice that I connected with. 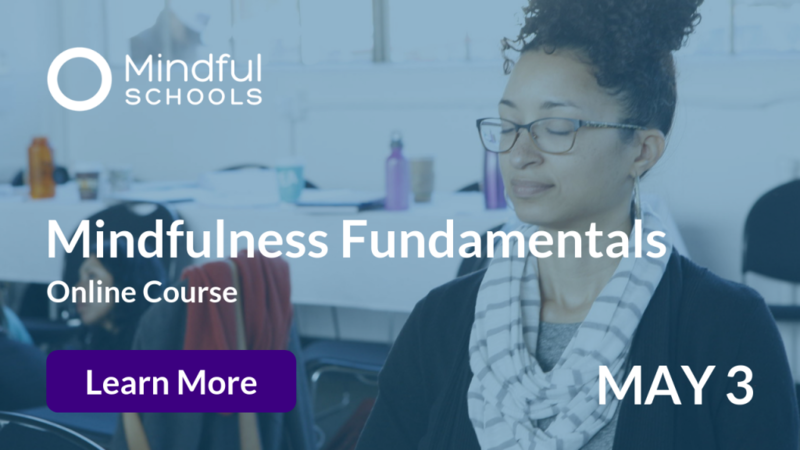 What surprised me is how much mindfulness changed me – how I engage with myself and others. Many people noticed a change after I started studying and practicing. I believe it’s because I became kinder to myself and more compassionate towards others. I’m still working on it and am better some days than others, but the fact that it has a spotlight in my mind is a big deal. What surprised me is how much mindfulness changed me – how I engage with myself and others. Many people noticed a change after I started studying and practicing. I believe it’s because I became kinder to myself and more compassionate towards others. Tell us about your own teen years. There was always a tension between wanting to fit in and being myself. I grew up all over – born in Miami, lived in NJ, CT, Colombia and Brazil, then returned to the U.S. in high school. I was always friendly, a rule follower, athletic, a good student but not a superstar. Because I moved around, came from a different ethnic background than the majority of my peers, and was not always in the know about what was “in,” I never felt like I quite fit in socially. I had a different world view and didn’t buy into group norms just because everyone else did. I worked hard to own my identity and be true to myself, but I’d be lying if I said that this tension didn’t wear on me and chip away at my self-confidence. 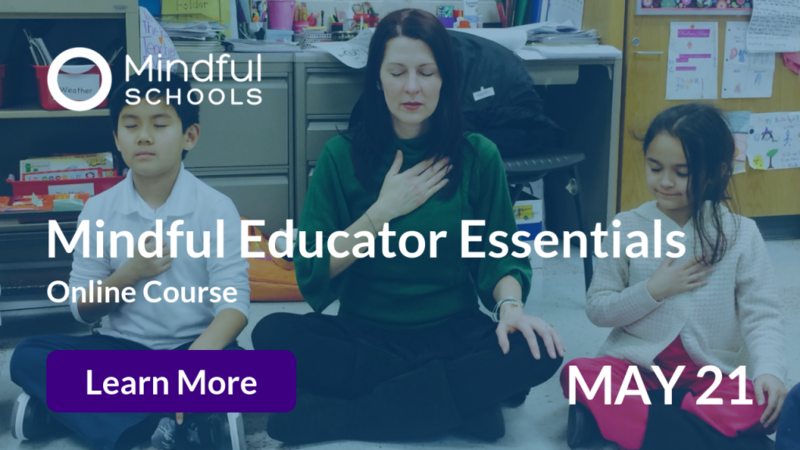 Did you ever have doubts about teaching mindfulness? I love teaching. 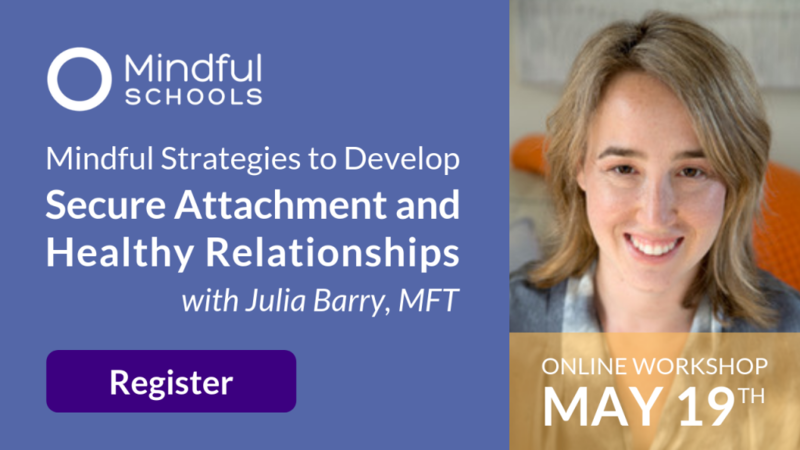 In particular, I love teaching about the connection between brain development and function, how we navigate the world (stress, focus, bias, etc), and mindfulness. When I first started practicing with my students, I wasn’t sure if there would be any carryover outside of school. Then a parent shared that their child had had a medical crisis outside of school. When she was surrounded by paramedics, scared and stressed, she decided to practice her mindful minutes to get through it. I wasn’t even sure that this student had been listening in class! 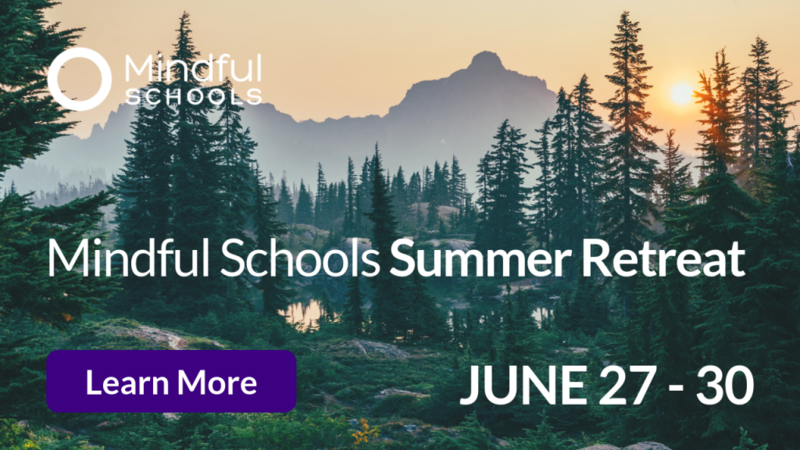 Having a student who was new to mindfulness turn to her practice under duress was a reminder of the importance of this work. I have worked the entirety of my career with middle schoolers. They are dynamic, complex, creative, and passionate about the world. I see their power and their potential daily…it’s exciting! 1) Be kind and compassionate to yourself and others. Meeting discomfort from a place of compassion will often have a bigger impact towards change than judgement and isolation. 2) Own your own truth. Embrace every unique little piece of who you are with confidence. The drive to meet an arbitrary idea of what is “normal” or “cool” is a self-imposed barrier to potential. 3) Give attention to joy! Empathic joy is as valuable as empathic sorrow, engage in it! Notice it! Experience it! Challenge the idea that joy is “fluff.” Joy, gratitude, and compassion build resilience. 4) Connection is the key to making change. It is tempting to hunker down and only engage with people that look, think, and act like like you. There is relief and comfort in this…I get it! However, to effect change, I have to see myself in you and visa versa – in order to do that I have to get to know you. 5) Stand by what is right – even when that is the hard thing to do. I will stand with you. 6) Dance, sing, be goofy! Someone can only make you feel embarrassed if you give them permission to. 7) I love my students… and I will sit alongside them as they work through difficult moments and celebrate achievements. Can you share a favorite lesson with us? I love teaching about the brain! When we can connect our biology to our experience in the world, we can more fully engage with everything around us. We dig into this in Fuel for Thought, a course designed to support students in developing stronger executive skills, interpersonal skills, and self-regulation. Students learn about brain development, improve their study skills, and I introduce them to the practice of mindfulness. A favorite activity is when students act out the stimulus-response process as a neural pathway. After they learn about the anatomy of a neuron, we demonstrate how a pathway works using their bodies, pencils, and a bell. Have students line up side by side – they should face the same direction and spread out enough that they can extend their arms slightly. You can have one long chain/circle or several rows (pathway). Give each student a pencil (neurotransmitter) to hold in their left hand except for the last person in line. Give the last person a bell or buzzer to hold in their left hand. Have each student hold their left hand (neuron) with the pencil hovering above their neighbor’s empty right hand. There should be a gap (synapse) between their hands. The teacher creates a “stimulus” (squeeze, tap, pinch etc) in the empty right hand of the first person in the chain. That “stimulus” starts a chain reaction. When the receiver feels the stimulus they release the pencil in their left hand into the right hand (neuron) of the next person and so on. When the last person receives the pencil they ring the bell (response)! It’s especially fun to divide the class into two “pathways” trying to get a message to the response person at the same time, make it a race, and do it with your eyes closed! Can you tell us about a time in your life that you really leaned into your practice? Half way through the Mindful School’s year-long certification program, a person very close to me was the victim of an assault. Watching their suffering and supporting them through this time was one of the most challenging things I have ever done. My practice was essential during this time for me and for them. When there was nothing I could do, I practiced heartfulness. When I was feeling out of control, I practiced. When they couldn’t sleep, I guided them through a meditation until they did. 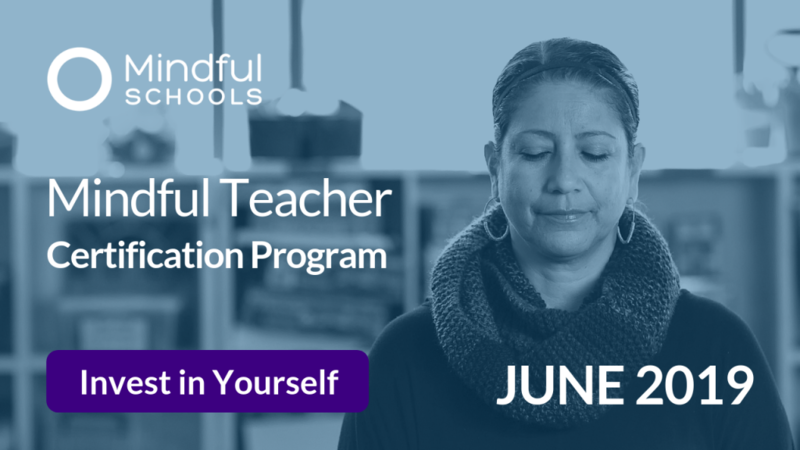 My cohort and the year-long program helped me stay centered and practice self-care. I’ve learned to trust the present and not surrender to the past. While the impact of their assault continues to unfold, our friendship, and practicing mindfulness has given us some peace and an anchor to rely on. Who is one of your greatest supporters? My husband Márcio is a long-time meditator. His continuous encouragement and enthusiastic interest kept me going as I developed my personal practice. He believes deeply in the benefits but always gave me space to figure it out on my own. Because he’s a pediatric neurologist, he always answered my questions about the neuroscience behind meditation, and was excited and curious about what I was learning! Thanks Charito for sharing your story!